King of Towers, by ShineZone. Hi Everybody! 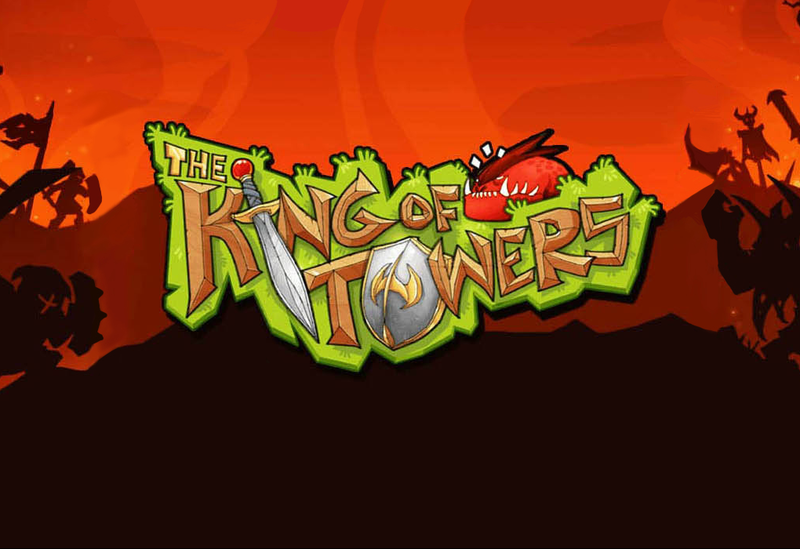 It's Ryan from ryviews.com, and today I'm reviewing King of Towers, by ShineZone. It's essentially a flash game mashup of Kingdom Rush and Farmville. It's definitely a freemium game, but you can still enjoy it for free for quite awhile. Right off the bat, I want to point out that the real meat of this game, that is the tower defense portion, is basically a carbon copy of Kingdom Rush. The higher level towers offer a nice semi-unique experience but after playing for a few weeks I've still only unlocked one specialized tower and that was the one they gave me for free in the storyline. However, it is a good copy, and the actual gameplay is enjoyable. But this game shines through it's other content. There's a whole lot of upgrades in the background, along with features that are mini-game-ish. There's a field to plant a money tree or an xp tree, there's a way to pit your soldiers against bosses and other players (not a full tower defense level though). And there are lots of ways to upgrade and customize your heroes. Basically, you can spend hours doing things in the background without playing the actual tower defense. And those background tasks essentially are the grinding. So as you upgrade you city and whatnot you actually improve your tower defense strength. And along those line, this game actually eliminates grinding. There's a fantastically ingenious system where you collect taxes on completed levels. It uses energy and gives the same rewards as replaying the level (except for hero experience). Which means that collecting the tax basically just grinds the level for you. So basically if you just collect login bonuses and taxes for a week you could level up your towers in attack by crazy amounts without even playing the game. It's fantastic for someone like me who likes the idea of "slow and steady let's me absolutely destroy my puny artificial intelligence competition". So, I like this system of grinding without grinding. But for those of you looking for a classic, tower defense experience that is mostly actual gameplay, this will be horribly frustrating. Getting the higher level upgrades take quite a bit of that passive grinding and it's pretty impossible to achieve just through tower defense gameplay. You'd be better served playing Kingdom Rush. If you want an immersive experience that really does meld the obsession of Farmville with the battle prowess of Kingdom Rush, you should definitely check out this game. For the scorecard, I give time value of 8, because there's quite a bit to keep you occupied and it seems to go on for a very long time, money value of 5, it's a freemium game but it's pretty in your face about buying the premium currency, very frustratingly so, originality of 7, because the taxes are awesome but the core gameplay is just a carbon copy of Kingdom Rush, ryplayability of 7, very nice controls but the railroading every time you unlock a building in your city is really annoying, and fulfillment of 9, because upgrading stuff in your town is very rewarding. That gives a grand total of 7.2. Thanks for watching everyone. Visit www.ryviews.com for more content and don't forget to subscribe!